Gifted with a healing factor that makes him nearly unkillable, Wade Wilson is the craziest mercenary to ever karate kick his way through the Marvel Universe. A wise-cracking, gun-toting, one-man army, he manages to save a baseball stadium full of innocent civilians from a Skrull attack all by himself. And then, to everyone's surprise, he surrenders to the Skrulls. Instantly recognizing Deadpool's assets, the Skrulls welcome him into their fold. 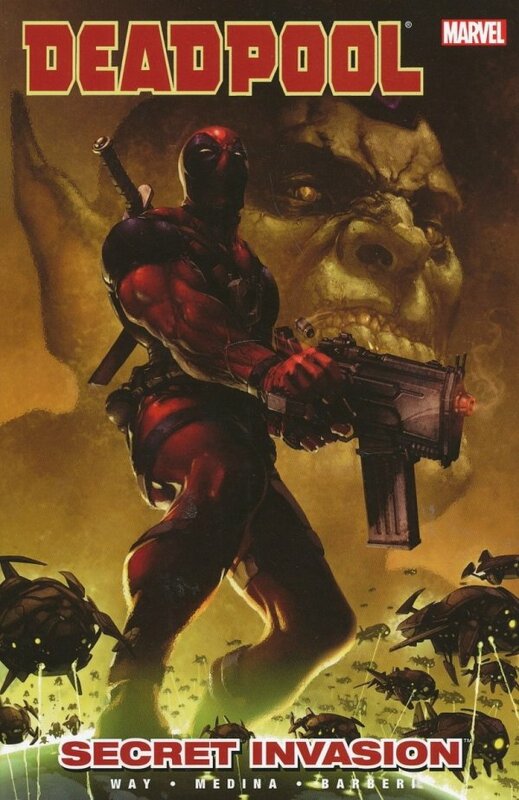 They isolate his healing factor and replicate it in the newest generation of Super-Skrulls, a brigade Deadpool himself will lead against the Earth defense forces. Or so the Skrulls think. Sure, he's a mercenary - and sure, if you pay, he plays - but what the Skrulls don't realize is that someone else is footing the bill?